← 2014 – 2015 Schedule Is Here! There are patron saints for everything. There is one for hangovers. There is one for television writers. There is even a patron saint of the Internet. Think about that for a second. Then think about it some more. Then come to our weird little semi-educational multi-genre show on October 30 at the Empty Space theater. 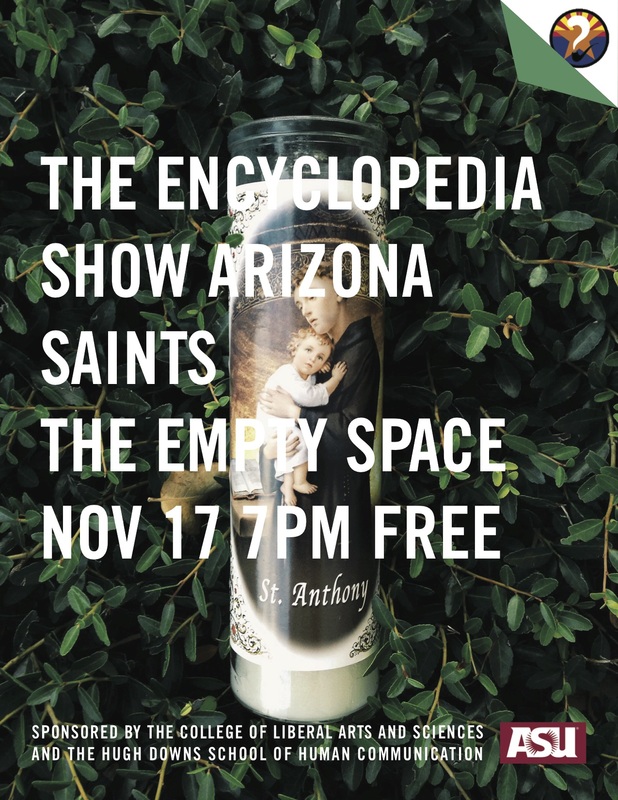 This month our topic is Saints and we are going to explore the canon like only the Encyclopedia Show can. The show starts at 7pm and admission is free. Be there and bring a good beatitude! Poster art by Andie Flores. Follow her on Twitter here!